The number of Middle East Respiratory Syndrome (MERS) infections in South Korea increased to 179 yesterday as four more cases were added, the health ministry said. Among the four cases was a 50-year-old woman who contracted the virus from the 14th patient at the emergency room of the Samsung Medical Center in Seoul, according to the Ministry of Health and Welfare. She stayed at the hospital for three days through May 29, indicating that the 177th patient was confirmed positive more than 10 days after the 14-day incubation period. Such patients developing symptoms even after the incubation period are expected to emerge sporadically. No deaths were reported for two straight days, leaving the death toll at 27. Thirteen more patients were discharged from hospitals as they completely recovered after being infected, raising the total discharged to 67. Excluding the dead and those discharged, 85 infectees are under currently treatment. Among them, 16 are still in an unstable condition. 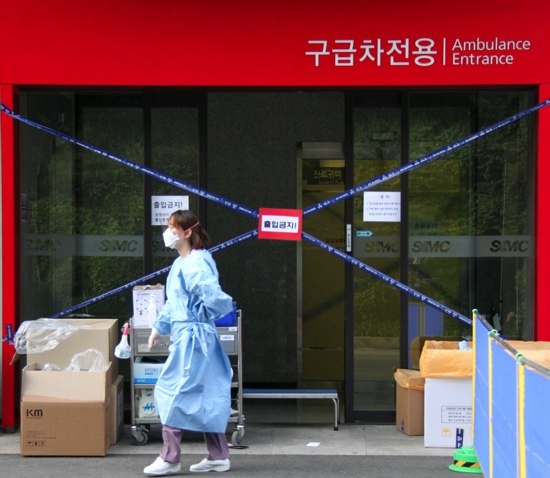 Two major hospitals in South Korea’s capital suspended services to patients yesterday in a bid to stop the spread of MERS after four new cases of the deadly virus were reported, the AFP news agency revealed. Samsung hospital, where nearly 90 patients, visitors and medical staff have contracted the MERS virus, declared a 10-day suspension of most services on June 14 to stem its spread. But as the number of new infections has continued to grow, authorities have decided to extend the partial shutdown “indefinitely”. Another major Seoul hospital, Konkuk University Medical Centre, has also stopped admitting new patients and performing surgery after four cases were reported in recent days. Almost all infections so far have taken place in hospitals and the World Health Organization said it had found no evidence suggesting transmission of the virus outside hospital.